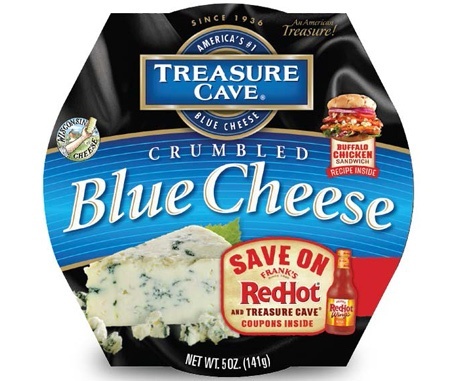 The Treasure Cave brand, known primarily for blue cheese, sells its products in both the dairy and deli section. Consumers, however, don't usually head to the dairy section of the grocery store to buy blue cheese. Treasure Cave wanted to change that and expand its reach in that part of the store. 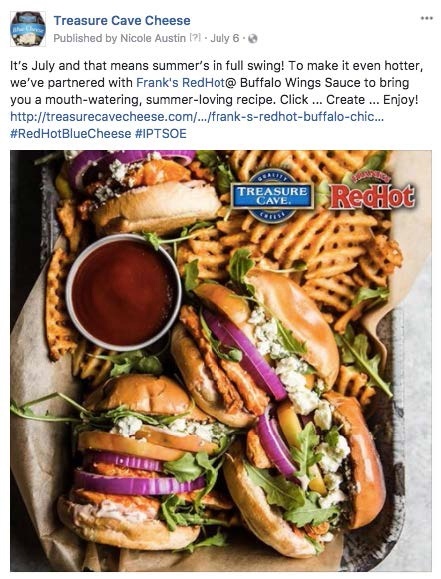 After gathering appropriate shopper basket data to identify partners to help expand awareness, we collaborated with Frank's Red Hot, a partner whose recipes would accentuate and complement blue cheese perfectly. Plus, it would bring our brand to the hot sauce aisle. 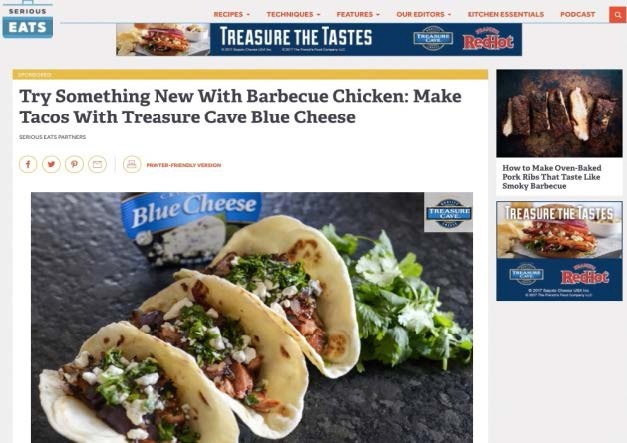 We created an integrated marketing promotion for Treasure Cave to drive brand awareness and increase trial. Our campaign included online, in-store, and out-of-store elements as well as overlay additional media and support through a partnership with SeriousEats.com. Serious Eats helped with custom recipes, sponsored posts, and banner ads to encourage their Millennial audience to learn more about Treasure Cave cheeses. Total sales went up in mid-single digits and both base and Incremental sales increased over a 12-week period. The campaign was also featured in Shopper Marketing Magazine.